Police are appealing for information following a burglary in the area of Woodside Avenue, Lisburn on May 28. 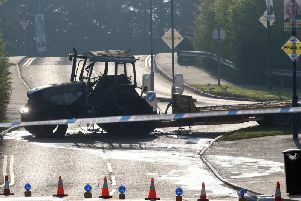 A spokesperson for the police said: “Did you see anything suspicious between the hours of 9.30am and 3.30pm in that area? Can you help police with their enquiries? “If you believe you have any information which may assist officers, contact them on the non-emergency number 101 and quote incident reference 1019 28/05/2016.